While President Trump’s bombastic and alliterative threats against North Korea appear to be credibility-free bloviating, and North Korea’s are specific enough to be worrying even if doubt remains about their capability, there’s one player in this escalating exchange of warnings who seems to really understand how its done. [I]f North Korea launches missiles that threaten US soil first and the US retaliates, China will stay neutral. 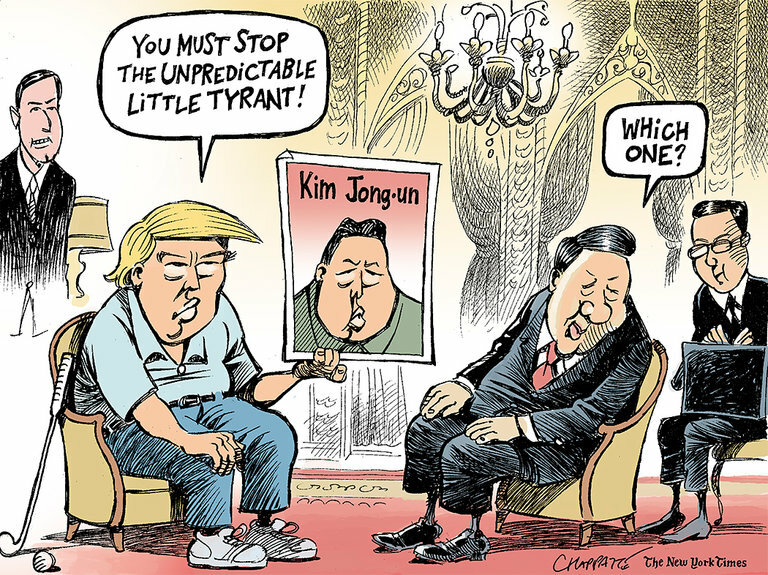 If the US and South Korea carry out strikes and try to overthrow the North Korean regime and change the political pattern of the Korean Peninsula, China will prevent them from doing so. I will admit answering with decided skepticism when others have asked me whether I think China would enter a new Korean War on the side of Pyongyang. But as in so much of international affairs, context and circumstance matter. As much as China might want to shake up the East Asian regional order to tilt the balance away from the United States and more in its favor, when it comes to the Korean Peninsula, China is a decidedly status quo power. Beijing regards Pyongyang as a troublesome client whose antics cause annoyances and worse. However, for Beijing, the continuing existence of North Korea—as long as they don’t cause an atomic holocaust in Northeast Asia—is better than all the other options. A bumptious client state across the Yalu river beats having a united Republic of Korea, a close U.S. ally, on China’s border. Hence the very clear warning issued to both Donald Trump and Kim Jong-Un. Kim is on notice that if he starts something he’s on his own. China will not have his back. And Trump is on notice that China will go to war, just like it did in 1950, to ensure the survival of its client if the US makes the first move unprovoked. The threats are in. I know which one I believe.